The first thing to define is the general atmosphere you are trying to create in your room. This will help you find not only table shape and dimensions, but also the most appropriate production materials for your room. Once again, there are no fixed rules — just some general logic. Obviously while working on a vintage living room decoration, hi-tech coffee table with abstract shaped glass surface and integrated lights will look alien in the room. To be more specific about production materials, suitable for different decoration themes, note that wood and glass usually look good in any setting — even in a vintage one. Both glass and wood are great examples of timeless decoration materials that have been used in furniture manufacture for centuries now. High gloss is, of course, a more demanding decoration solution that requires matching glossy furniture. It, however, also looks very impressive with glass. Sure, you should not forget about the physical dimensions you have to work with. If the room is small, for example, it will mostly benefit from a really compact coffee table with extra storage behind the surface. It is often hidden, by the way. Also, some small coffee tables can be extended on occasion. 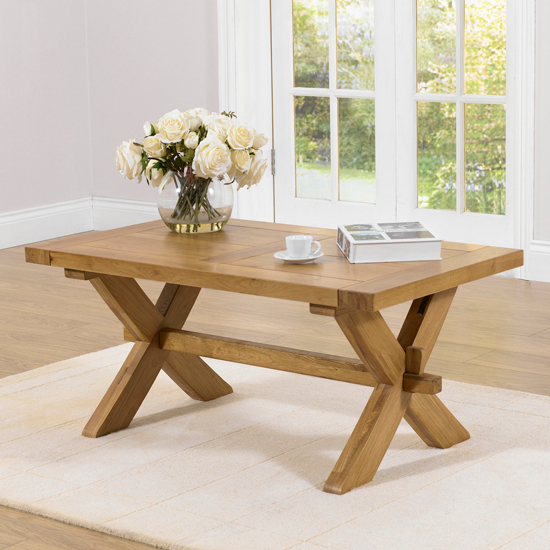 Another important aspect to help you choose the right coffee table is to consider a shape that matches your room. This is quite simple — if the room has square shape, just go for square or round models. If the room is distinctly rectangular, choose the same rectangular coffee table shape. Oval one will do fine, too. Finally, even while shopping for such seemingly simple things as a coffee table, it is still important to choose high quality materials and strong builds. In the UK, Furniture in Fashion is one those stores that can offer the biggest selection of coffee tables. The company is strictly a local one, which ensures very quick delivery to any corner of the country. At the same time, the store works with a range of reliable manufacturers from the UK and Europe, which is why the selection on this platform is worth checking out. And, apart from already competitive prices, the store introduces very generous discounts on selected items — during seasonal sales it is possible to get highest quality products at a quarter their initial price. All in all, this is a solid platform that definitely deserves a bit of your attention.